Well, that’s a wrong question to ask when the title of the post is itself about the exam results. 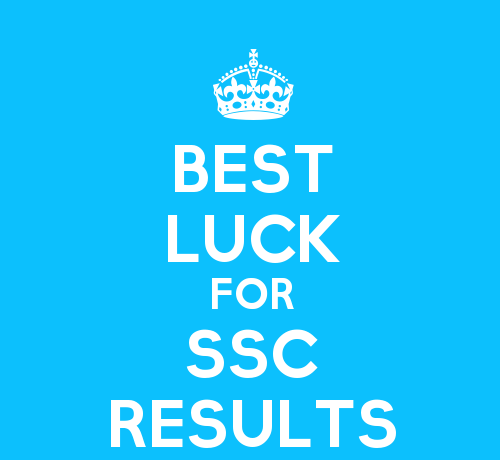 As per media reports, Central Board of Secondary Education (CBSE) Class 10 results are going to be declared on 27th May 2015 at the official website: www.cbseresults.nic.in at 1pm. Over 13 lakh students have appeared for CBSE Class X exams this year and all are expecting good results. CBSE Class 10 students who have obtained E1 or E2 grades in all 5 subjects will be eligible for improving their performance in any or all the 5 subjects. Such students are also eligible to reappear once for improvement of performance. CGPA is Cumulative Grade Point Average Point. It is nothing but the average of the grade points achieved in all subjects excluding the additional 6th subject. For subject-wise percentage, multiply grade points received in each subject with 9.5. Divide the sum by 5 i.e. 39/5 = 7.8. Overall CGPA is 7.8. The grades of Class 9 and Class 10 are not combined. CGPA is calculated of class 10th only and it can be seen in the Grade Sheet or Certificate of Performance. CBSE Class 10 exam was conducted in March 2015. 8,17,941 boys and 5,55,912 girls had appeared for the CBSE Class 10 exams in 2015. CBSE Board was formed on 3 November 1952. Alongwith Class 10 and Class 12 exams, the board also conducts AIPMT and AIEEE entrance test every year annually. AIEEE entrance exam is for the admission of engineering and architecture courses in India and AIPMT entrance exam is for All India Pre-Medical test to get admission in major medical colleges in India. Please keep your roll numbers and date of birth ready to access your results as soon as they are declared according to regions on the official websites. simoly how uch time I had spent for this info! Thank you!